I’ve been thinking a lot more about what it means to me to be a feminist now that I am in my 40s. And I never considered myself what I considered to be a feminist: a not-very-girly-girl, a jock, a bully in the boardroom. When I listened to Caitlin Moran in an NPR interview about her book “How to be a Woman” she described younger women who identified with feminism like I once did. She posed the question: if you are not a feminist, then does that mean you would you like to not be able to have the choice to work? To vote? I hear the lament of women who marched for women’s rights or remember what it was like to not have the choices and respect we have now. They are worried that the younger generations just don’t remember and will lose what they fought so hard for. In high school in the late 80s, my friend taught me to attract men by acting stupid (I had a perm and braces and needed some lessons I suppose). I didn’t take this lesson far. I find myself seething a bit when men at parties seem dismissive when I want to get into the business conversations with them. I care a lot more about feminism now, especially now that I have a daughter. In a school meeting with our superintendent, I heard women preface good questions with “this may be a stupid question, but…” Would a guy ever do that? No. He’d ask it in a confident way even if was the stupidest question on Earth. When I ask teenage girl babysitters how much they charge per hour, they are clearly uncomfortable, while the boys who started a leaf raking business are much bolder. My 12 year old niece is my mother’s helper on Tuesdays. I am going to teach her how to negotiate a fair rate when she’s ready to babysit on her own. I put on Dora TV instead of Diego for my 2 year old son, because Dora is strong and Dora is way cooler than Diego. When I watched the Brady Bunch with my 7 year old son, I laugh that the Brady women act helpless when trying to build a playhouse: isn’t that crazy?! I show my 9 year old daughter that you can be fashionable, pretty and fun and have a career. I believe in working and staying home with your kids and everything in between. I believe in not giving up what is feminine but being strong. I believe in all women. And I want us to move forward, not backward. Today’s Boston Globe featured a story on how the detection of Down Syndrome early and other genetic abnormalities early on in pregnancy is resulting in ethical dilemmas for parents. In 2007, the same year the couple profiled in the story discovered their daughter, Julia, would be born with Down Syndrome, I was also pregnant with a baby with Down Syndrome. We found this detail out after I miscarried at 10 weeks and I have not looked at a person with Down’s the same since. At the time, we had a 3 year old and a 1 year old, but I had suffered 3 miscarriages (the first before our oldest daughter, the next two in between my daughter and son). I knew how lucky I was to be pregnant again. I started to show early on, my body knew what to do. In the midst of this pregnancy, we were working on a fundraiser for a good friend who was in a terrible car accident. At the fundraiser, we told my husband’s extended family and our good friends about the pregnancy, were so confident about the outcome. I was so confident, the next Monday when I went to my OB for a routine exam, I didn’t bring my husband. Despite the fact I threw up that morning from morning sickness, I wasn’t pregnant anymore. There was no heartbeat. We had the fetus tested afterwards. When we found out it was a baby with Down Syndrome, it made the loss more poignant. It gave the baby more of an identity. Later on, we found out it was a girl. At the time, we already loved that baby with Down Syndrome. We talked about how we would have had the baby, how people with Down’s have such a happy outlook on life, how having a sibling with a condition like Down’s could make our other children better people. Of course, it was easy to say after the fact. As I read the story today, I thought: it could have been us and at the same time it could have been us. When I went on to have subsequent pregnancies, 4 more times (only one at the end resulting in my son), we chose not to do prenatal testing in the early stages of pregnancy. We crossed our fingers and prayed during the “big ultrasound” at around 18 weeks that the baby would be “normal.” This seemed out of the ordinary and a bit crazy for most of our friends and even some of the doctors who eyed us warily. The to-test-or-not-to-test is another story altogether. All I know is that when I look at a child with Down Syndrome, I think of that baby that we lost. She would have been 6. I always feel guilty. Last night, after a long week home with the kids home for school vacation, and feeling pain in my shoulder and neck once again from carrying a 32 pound toddler, I scheduled a massage. I felt guilty because my husband was rushing home from work so I quickly cleaned the house, made the bed, scrubbed the toilets and added some bleach to our kitchen sinks for good measure. I made him a spinach, lentil and walnut salad and threw some organic chicken nuggets in the oven for the kids. He came home at 5:05, clearly flustered that he left work earlier than he should have. So, I felt guilty. My massage appointment was at 5:15. I was 10 minutes late. I am always 10 minutes late and always feel guilty about it. My Haitian massage therapist said, “we were just about to call you, what happened?” so I groused about my husband and how he wasn’t home as early as he should have been, which was kind of a lie. I felt guilty about that. But then I felt even more guilty when she started the massage and I asked her if she was married and she said “I was” and then I find out that her husband dropped dead of a heart attack. So then I felt guilty and started this whole conversation about husbands dying young, how were her kids, etc. Then we start talking about Haiti and how poor of a country it is and how wasteful we are in America. I start to feel guilty about wasting food, buying new sneakers for my son and getting a massage. But I press on. Ask her what her 18 year old will do after college. Turns out, he is autistic. High functioning, but autistic, oh- and so is her middle daughter. I turn over and shut myself up and try to start relaxing, but I think of the things I am feeling guilty about. Complaining about my husband. Not eating heart healthy. Being late to daycare pickup on Thursday and having the owner look at the clock and show her disapproval. Not writing enough. Not blogging enough. Spending money at Whole Foods. Spending money at Nordstrom Rack. Not paying attention to my kids. Being messy. This morning I went to yoga and tried to clear my head and felt guilty about not clearing my head, not working to my true potential and being hard on myself. One thing I don’t feel guilty about but probably should: watching Bravo. Maybe Lisa Vanderpump will make me feel better. And I can start fresh on Monday. The Things That Matter, is a part coffee table book, part memoir and part biography of Nate Berkus and some of his close friends and interesting clients (many who he met through Oprah). I borrowed it from the library after a binge of ordering Bobbi Brown’s latest how to put on makeup book: Pretty Powerful, Pippa Middleton’s party planning Celebrate tome (it is big!) and the gift I bought everyone but myself at Christmas: The Smitten Kitchen cookbook. I am not sure what made me reach for Nate’s book during the snowstorm that left the Boston area housebound. Maybe I felt like decorating more than I felt like cooking, planning a party or putting on makeup. Nate described how he developed his love for decorating (his mom was an interior designer), his struggles with coming out to his family, most of his career path, finding love, and the details of how he survived the Tsunami of 2004 but lost his partner and love, Fernando. We see beautiful pictures of the objects Nate describes in his stories. Each vignette follows this pattern: a story with descriptions of important possessions of everyone from the formerly homeless man behind the movie, The Pursuit of Happyness to architects, socialites and even Dr Ruth. Just like when Nate was on Oprah and now his own talk show, he drills down to the objects that matter and finds ways to make them part of the heart and soul of the home. A collector of things like Nate, and someone who loves the thrill of the hunt, whether at TJ Maxx or the side of the road or a thrift shop, I could relate to the stories. I’ve already taken some tips from Nate, like framing my baby footprint for my mom, placing a bird’s nest and glass jars of seashells and smooth rocks on my mantel. His book made me think about the things that don’t matter to me and the things that do. I am already thinking about moving my treasured letters from my grandmother to a big enameled box. Now I just need to find one. On January 5th, I broke New Year’s Resolution #9. 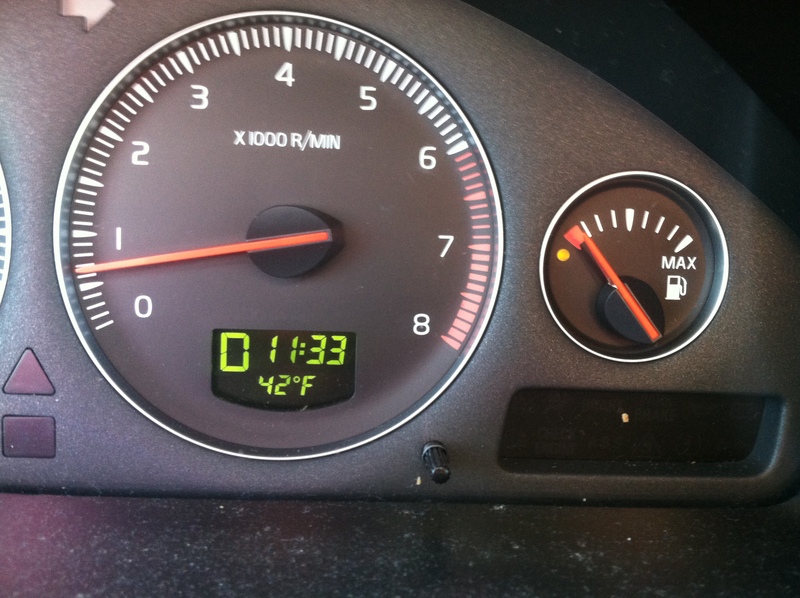 I let my gas tank go way past empty (on a cold winter day with kids in the car). I compromised on my resolution to see more movies in the movie theater by watching Bill Cunningham New York while I took down the Christmas tree. I loved the behind the scenes of my favorite section of the New York Times: the Styles section. The film stoked my creativity: bringing me back to why I love great journalism, great art, great fashion. And I love the gritty and glamorous world of New York. One takeaway from the film that made me think about my career: at one point Cunningham worked for Details and Details was sold to Conde Nast. Bill Cunningham refused to cash checks from Conde Nast: quipping: “Money is the cheapest thing, liberty is the most expensive.” Lately I’ve been wishing I had more exciting work and more money, but the freedom to create my own hours to spend time with my family is priceless. Bill Cunningham inspired me. See the movie. I should have seen it in the theater when it came out last year. I broke my no swearing in front of the kids rule today by telling the 2 year old to “stop busting my balls”. This was after he removed cables from the back of the TV so I couldn’t watch Bravo, stuck stickers on the Whole Foods shopping cart, slept on the way home from Whole Foods, was so sleepy didn’t wake up when I changed his diaper and removed his winter coat but woke up once I was settled in my bed with my laptop and Bravo on the upstairs TV. Then when I gave up, took him out of his crib and started picking up toys from the floor, he jumped on my back. Have I mentioned I have been seeing a chiropractor for back pain? Doesn’t he sound like a ball buster? 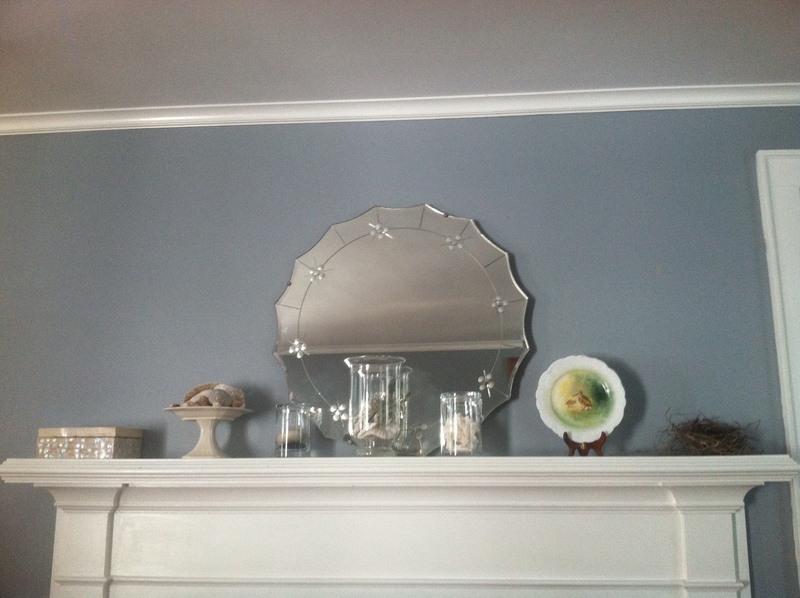 On the creative front, I put together a stunning mantel display with a winter beach theme. One day at a time. I know people want to shake me until my teeth rattle when they mention some storyline from Modern Family and I am like, “meh.” I’ve tried Modern Family, and it is too sitcom-y and dare I say, trite, for me. I am not in love with the characters like everyone else seems to be. I sometimes say, “ok, I’ll try again.” But I won’t. I won’t try again. Then, there’s Homeland. I watched the first episode of the first season of Homeland. Claire Danes all beautiful and crazy eyed, I just didn’t believe she was in the CIA. And I was tense the entire time I watched it, but not in a good Sopranos kind of tense. And, HBO’s Girls. I have one word for Girls: Gross. Those girls on Girls are gross. But the girls from Juniper Creek on Big Love are not gross. What do I like, you may ask? The TV snob that I seem to be? I watch all things Bravo, I love every single Housewives show. I like me some Pattie Stanger here and there (Millionaire Matchmaker) and Top Chef. I know it’s all trash. But it is still keeps me more entertained than Modern Family. And I can sleep after Million Dollar Decorators but can’t sleep after watching the guy from Malcolm in the Middle shoot someone outside of his meth lab. I will watch a sitcom: I used to like The Office and 30 Rock. I love Nurse Jackie and can believe Carm is a nurse/junkie who endears herself to every down-on-their-luck patient. I like Aaron Sorkin’s Newsroom which reminds me of Sports Nite and Studio 60, what with their rapid fire dialogue (both cancelled too soon) but I never got into West Wing. I am Leon from Curb Your Enthusiasm’s number one fan. And I quote lines from Seinfeld and Arrested Development on a regular basis. Which TV show do you love that you can’t believe not everyone is watching?